1.) They get super flakey and spotty skin- New parents are often shocked when their fresh new baby starts peeling like a little lizard and often go to the doctors to get it checked out. As a new parent, everything is understandably very scary! In the womb, your baby is covered in a layer of skin called “vernix” and this is to protect them from amniotic fluid. In the first few weeks, the layer of skin under the vernix starts to flake and peel off and this is completely normal! This goes away on it’s own so don’t worry! 2.) They smile and roll their eyes but it’s just wind!- I often get clients asking me if it is normal for a newborn to roll their eyes to the back of their head or make little short breathes while doing so, it is completely normal as it is just wind! A windy baby will also give you lots of smiles as it is completely a reflex from the wind. It might be just wind but it is so so adorable! 3.) They can only see 8-12 inches from them and they see in b&w!- Newborns can only see light and motion in those first few weeks. It’s not until they are 4 months old that they start seeing colour and can make out objects. 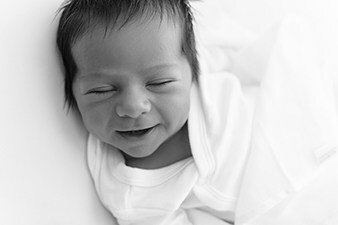 At a few weeks, your newborn will start to recognise your face when it is close to theirs! 4.) They love noise- Being in the womb for 9 months is very noisy, a foetus can hear mum’s heart beat and a constant whooshing sound as the world goes on around them. In the early stages newborns can sleep through anything as they are used to noise in the womb. So having white noise on can be very helpful to keep baby asleep and so they don’t startle. Being quiet all the time can actually go against you as you will have to always be quiet when baby is sleeping until they are older! 5.) 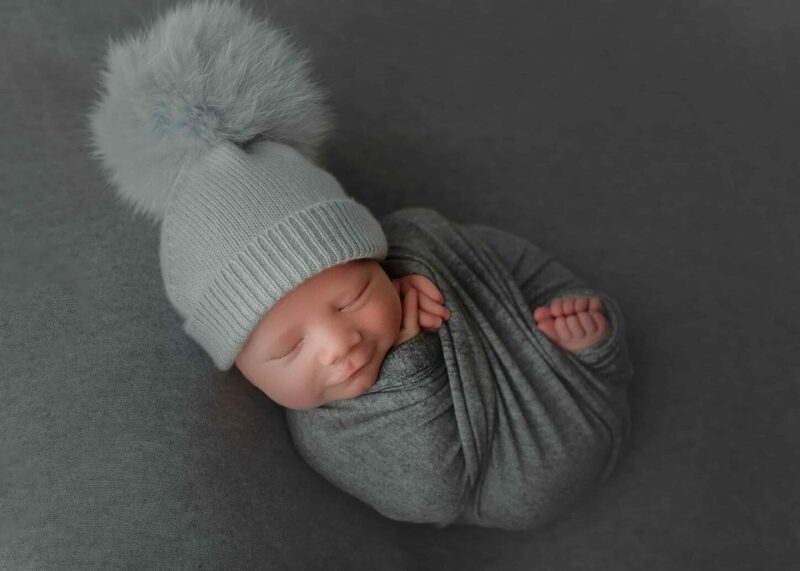 They love to be swaddled- Imagine coming out of the womb and having been a tight space for 9 months, where your limbs are close to you at all times and you are curled up tight. Then imagine coming out of the womb into this bright world and being able to stretch out, at first this feels very scary to newborns and stretching their arms out can actually wake them up! Having a swaddle blanket on helps them feel secure in those early days and helps lull them off to sleep. When is the best time to get a photoshoot?